The origin and history of casinos and gambling is unknown. However, there is a belief that gambling was present among the human society. It is vital to note that the Chinese recorded the initial gambling account practice in 2300 B.C. Going back to history, there are plenty of entertainment stories that are based on the Ancient Greeks, Games of Chance, Elizabeth England and the Romans to Napoleons. All these are evidence of the origins of gambling. The first well-known casino in the world was the Casino di Venezia, which was established in Italy back in 1638. It is interesting to note that this casino is still operational to date. It is worth noting that in the early 20th Century, gambling was outlawed in the U.S, which was done by the social reformers and the state legislation. This went on until 1931 when gambling was legalized in Nevada State and Las Vegas. In turn, this led to the sprawling of the initial legalized casinos in America, which later became quite famous. Gambling continued to gain popularity and in 1978, gambling was legalized in Atlantic City. Today, this is the second biggest gambling city in America. Some of the other popular gaming destinations in America include Mississippi, Tunica Resorts and Biloxi in Gulf, Coast area. The English are also not left far behind when it comes to gambling. History proves that the English were behind the development of Hazard. This game was the predecessor of the dice game as well as the contemporary poker games. Notably, the history of the poker games can be traced back to the Persians and Italians. In France, the origins of gambling can be dated back to Emperor Napoleon. The Emperor had special interest in vingt-et-un, which is referred to today as Twenty-one or the Blackjack. Roulette is also traced back to the French although a deeper insight into the history of the game shows that the game was adopted from the Egyptians. So, what is the origin of the term casino? The word casino has Italian origins. Casino means a building that is specifically built for pleasure. These kinds of buildings were utilized to host the civic town functions that included music, dancing and gambling. The term Casino is also relevant in German and Spanish and it refers to a mess. Later on, the term Casino was also inclusive of public buildings where sports and pleasurable activities took place. 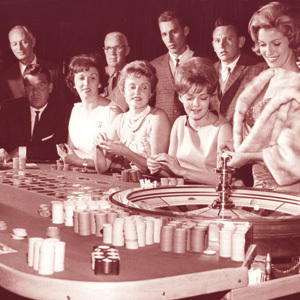 At the onset, casinos were not only utilized for playing. For instance, the Hanko Casino situated in Finland was actually never utilized for gambling and it was one of the most conspicuous landmarks in the town then. Today, this casino is used as a restaurant. Also the Copenhagen casino was a theater and its halls were utilized for huge public meetings. Since the mid 90s, the Internet has allowed the casino industry to grow. Those interested can play casino games right at the comfort of their own homes. It is evident that the future of gambling will continue to grow hand in hand with technology.